Please pray for an Immediate Divine Intervention in my finances and family. The last four years have been such a trial for me and my entire family. My work situation has changed. I have lost my home and claimed bankruptcy. Two of my children have lost their homes and all three are no longer communicating with me or with each other. My nieces have lost their homes; the husband of one has lost his business. 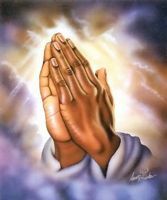 Please pray with me that all relationships will be healed and our finances restored. I am so weary from the constant struggle to make ends meet. I feel like I am fighting a losing battle.